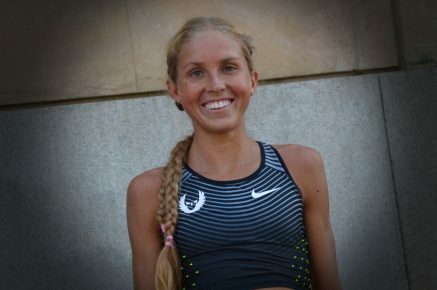 2nd April 2017 – In her final race before her marathon debut in Boston, Jordan Hasay (USA) showed that she is in great shape with a half-marathon personal best in Prague. With just over two weeks to go until the Boston event Jordan was looking for a solid runout amongst a world class field. Indeed, the women’s half-marathon world best was broken at the front of the race but Jordan stuck to her race plan and ticked the miles off under control, until she wound it up over the last two miles and crossed the line in sixth place, dipping inside 68 minutes for the first time. Her time of 67:55 now places her third on the American all-time list. In the men’s race Glen Rupp was looking for a similar workout. He placed eleventh in 61:59 despite suffering some foot pain throughout the race. Also on the roads, Shannon Rowbury (USA) finished strongly at the Carlsbad 5k to take second place, just one second behind the winner. On the track, there was a fine run from Shamier Little (USA) at the Texas Relays. Running the final leg for her 4x400m quartet, Shamier moved the team from fourth to first and broke the 50 second barrier with her split. Michael Rimmer (GBR) was desperately unlucky in his 1500m at the Stanford Invite. Just after the 800m mark the field clashed with an official on the track which brought Michael to a standstill.